Today, we are pleased to announce Open Design Kit – a collection of remixable methods designed to support creativity and problem solving within the context of the agile and distributed 21st century workplace. We are creating this kit to share the techniques we use within our open design practice at Bocoup and teach to collaborators so they can identify and address design opportunities. 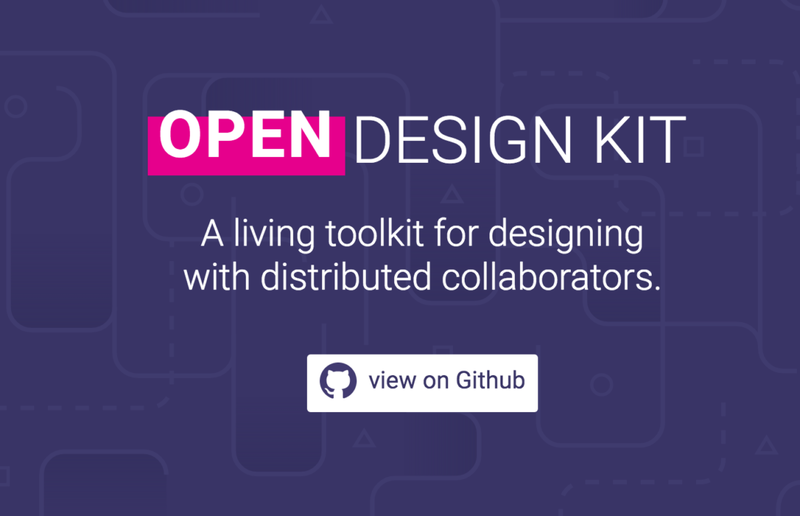 As of the publication of this post, the kit can be accessed in a GitHub repository and it contains a dozen methods developed by fifteen contributors – designers, educators, developers from in and outside of Bocoup. Design literacy needs to be constantly developed and improved throughout the software and product development industry. Designers must constantly level up their skillsets with lifelong learning. Engineers often need to learn how to collaborate and incorporate new practices into their workflow to successfully support the integration of design. Clients and stakeholders are repeatedly challenged by the fact that design is a verb that needs constant attention and not a noun that is handed off. To address this, Bocoup is openly compiling a suite of learning materials, methods, and systems to help our staff, clients, colleagues, and community better understand how we design and when to roll up their sleeves and get in on the action. It is our hope that this exploration will be useful for other companies and individuals to incorporate into their practice.